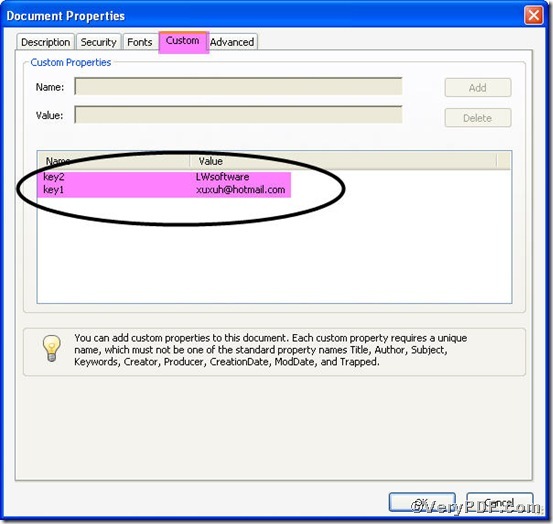 ← How to edit pdf content size and page margins? 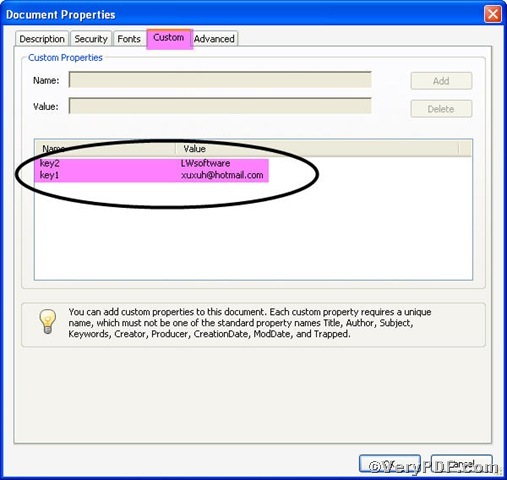 Sometimes, you need to edit custom properties of pdf without editing actual document. 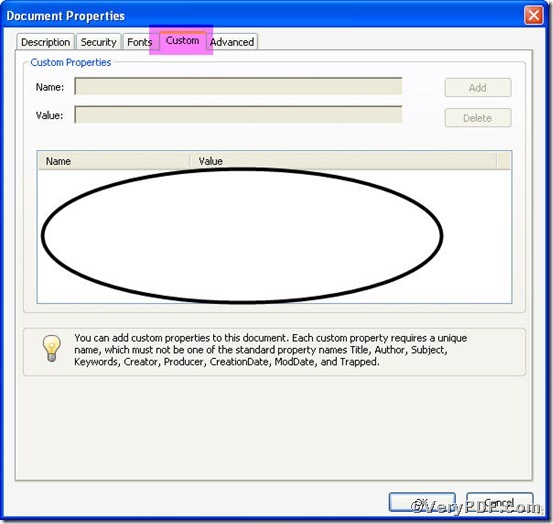 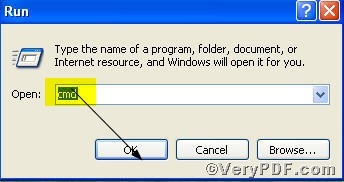 For example, the following document’s custom properties are blank; you can edit to label it. 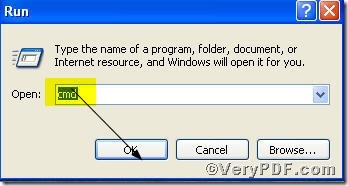 In order to let you do this in convenient and brief manner, the VeryPDF.com offers you Advanced PDF Tools Command Line, an ideal tool to edit custom properties of pdf, you are allowed to experience by following this article. 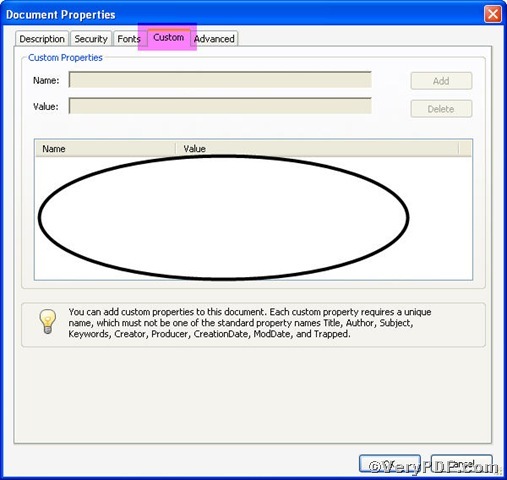 pdftools -i "C:\input.pdf" -o "C:\output.pdf" –y "key1=value1,key2=value2"
this picture clearly shows you are successful in editing custom properties of pdf, because xuxuh@hotmail.com and LWsoftware appeared.